Don’t just watch. Get in the game. Eating a healthy diet and getting exercise are two of the most important actions for healthy living. Physical activity can improves health. People who are physically active tend to live longer and have lower risk for heart disease, stroke, type 2 diabetes, depression, and some cancers. All adults should be active for at least 2½ hours a week. There are a lot of ways to get the physical activity you need. 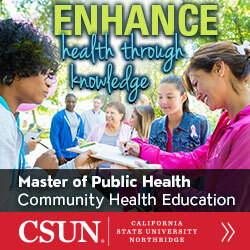 A health education specialist can help develop and implement strategies to improve health. Park away from entrances to the store, mall, library, shops, etc. Use a pedometer to keep track of your walking. Reduces cardiovascular disease. Getting at least 2 hours and 30 minutes of moderate-intensity aerobic activity can lower risk for these diseases. Reduced risk of Type 2 Diabetes and Metabolic Syndrome. Research shows that lower rates of these conditions are seen with 2 hours and 30 minutes a week of at least moderate-intensity aerobic activity. The more physical activity you do, the lower your risk will be. Reduced risk of some cancers. Research shows that physically active people have a lower risk of colon cancer than do people who are not active. Reduced risk of endometrial and lung cancer. Although the research is not yet final, some findings suggest that a risk of endometrial cancer and lung cancer may be lower if people get regular physical activity compared to people who are not active. Walking improves quality of life. Research shows that regular physical activity improves physical fitness. Regular physical activity helps improve overall health and fitness, and reduces the risk for many chronic diseases. If exercise is new — start slow. Cardiac events, such as a heart attack, are rare during physical activity. But the risk does go up when people suddenly become much more active than usual. 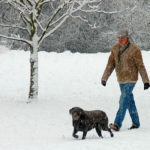 Men are at risk if they do not usually get much physical activity and then all of a sudden do vigorous-intensity aerobic activity, like shoveling snow. That’s why it’s important to start slowly and gradually increase the level of activity. Both physical activity and healthy eating play a critical role in health. One last tip – while watching sporting events, why not enjoy some healthy competition? You and your buddies can add physical activity to your party by doing push-ups. 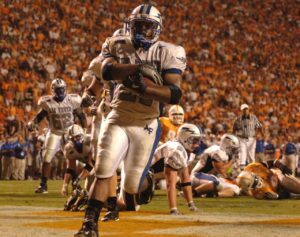 If your team gets a first down, then your buddies rooting for the other team have to do 10 push-ups – and vice-versa. Online tool allows you to search for and view indicators related to nutrition, physical activity and obesity. You can search on the basis of a specific location or an indicator.